In this post, I discuss the value of expert opinion from an animal behaviorist in dog bite litigation, specifically focusing on the states of Arizona and California. I choose these states because these states which have “strict liability” laws for dog bites. And it is in strict liability states, as opposed to “common law” states, where dog bite expert opinion can be used to address the most frequently used legal argument to counter strict liability laws: namely, provocation. As such, attorneys in California and Arizona would benefit from an understanding of how dog bite expert opinion can be used to support or reject questions and arguments that often arise in lawsuits. A legal perspective using the technical aspects of dog bite law can be found on the comprehensive website of attorney Ken Phillips. A key provision in strict liability law deals with the issue of provocation. In order for the plaintiff to prevail, the plaintiff must prove that his/her actions were not provocative. What constitutes provocation is not straightforward, however. There is no legal definition of the term. Whether provocation occurred in any given instance varies from case to case. Hence, expert opinion from an animal behaviorist is often beneficial in determining whether provocation occurred. Previously, I have offered guidelines which, with exceptions, may be applied to most dog bite instances provocation is alleged. Generally, in the most instances assessment of the dog’s temperament has to be made along with the circumstances surrounding the incident and how the dog reacted to the behaviors of the plaintiff directed to the dog. Provocation may happen if the dog immediately responds with aggression due to behaviors directed to the dog by the plaintiff. For example, a case for provocation could be made if a person (and not a young child) approaches a passive Golden retriever and without invitation thrusts their face into the face of the dog. In this instance, provocation may have happened. Regardless of the fact pattern, the totality of the circumstances surrounding the incident must be carefully considered. In addition, other factors to consider are the temperament of the dog and it’s past behavioral history. Determination of the temperament of any given dog is determined by several variables, some of which include breed tendencies and external and internal influences which might have affected the dog’s behavior at the time of the incident. For example, the hormonal status of the dog, it’s medical condition and the dog’s previous social behavior in different kinds of contexts. Moreover, findings from animal behavior science tell us that dog behavior is contextually driven. Hence, it becomes very important to consider the context in which an incident occurred. • Prior knowledge of a dog’s propensities? An argument that usually benefits the plaintiff is that the defendant-dog owner knew about the dog’s dangerous nature. This might be established if the dog is of a certain breed and has a proven history of acting aggressively or biting people in contexts similar to the context in which the incident happened. However, defendants are apt to deny prior knowledge about the dog’s dangerous nature. If this is the case, then with sufficient conclusive circumstantial evidence, an animal behaviorist might opine that the dog possessed dangerous propensities and that the owner/landlord should have known about these tendencies. Circumstantial evidence that the animal behavior expert could draw upon to form opinions about the dangerous nature of the dog include the breed of the dog, statements from neighbors and others who knew the dog, veterinary records, previous relevant complaints to animal control, how the dog was maintained, it’s gender, the dog’s reproductive the medical history, and if the dog was kept away from strangers who visited the property. • Negligence by the dog owner or landlord? Negligence is any action or lack thereof by the plaintiff or landlord that proximately allowed the dog bite incident to happen. Negligent actions frequently deal with defendant’s failure to do something; for example, failure to remove a dangerous dog from the property, failure to lock a gate, failure to repair a fence that was in a state of disrepair, or failure to adequately control or supervise a dog in a given set of circumstances. Expert opinion can be used to specify the steps the defendant should have taken to prevent the incident from happening. The animal behavior expert can play a very important role in determining the outcome of dog bite litigation. Attorneys need to be forewarned, however. Attorneys need to realize that self-proclaimed animal behavior “experts” exist (there is no licensing per se in any state) and essentially anyone who claims experience working with dogs can sell themselves as a dog bite expert. The danger here is those self-proclaimed experts are usually only marginally qualified and are likely to offer expert opinion inconsistent with knowledge about dog behavior published in the scientific literature. Nonetheless, as stated, as long as the expert claims and testifies about having experience in dog training or dog behavioral counseling, then this expert is likely to be qualified in Court. Courts will likely qualify a poorly qualified dog bite experts with the rationale that is that his/her opinions will be applied to the weight of the evidence rather than disqualification. Rarely in California or Arizona are Daubert or Kelly-Frye challenges used for disqualification purposes. To sum up: an expert’s competency in animal behavior – for the purposes of rendering dog bite expert opinion – can be judged through completion of coursework in animal behavior resulting in a graduate degree, a publication record in scholarly peer-reviewed animal behavior journals, and certification from an established organization dealing specifically with the study of animal behavior. 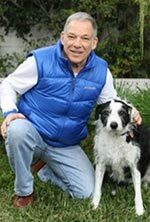 Note that animal behavior is a recognized scientific discipline and the findings from this science can be applied in meaningful ways to understand aggressive behavior in dogs in real-world situations. A self-proclaimed dog bite expert without this background is compromised. 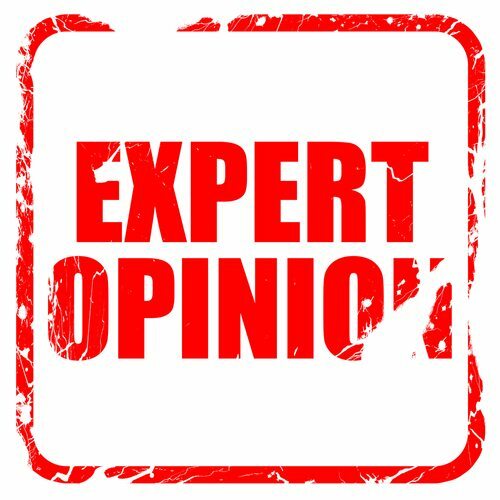 Certainly, other factors have to be considered when passing judgment about the effectiveness of any given expert, such as the expert’s communicative skills. However, an expert with decent communicative skills but with the lack of academic-scientific background may be particularly good at selling their expert services and proffering nonsense about dog behavior in a convincing way. In fact, I know of one dog bite expert who has bamboozled many personal injury attorneys with this strategy. Attorneys deserve properly qualified dog bite experts – ones trained in science and those who have a good grasp of the literature in order to apply scientific findings to real-world situations. Anything less invites incompetence into the courtroom and undermines fairness in the system of jurisprudence.